KidZania is a kid sized city for 4-14 year olds in Westfield Shopping Centre, London with more than 60 real life role play adventures designed to empower children, allowing them to run a radio station, play inside an actual British Airways plane, try their hand as a paramedic, work in a dentist surgery, an art studio, a hospital, supermarket and so much more. 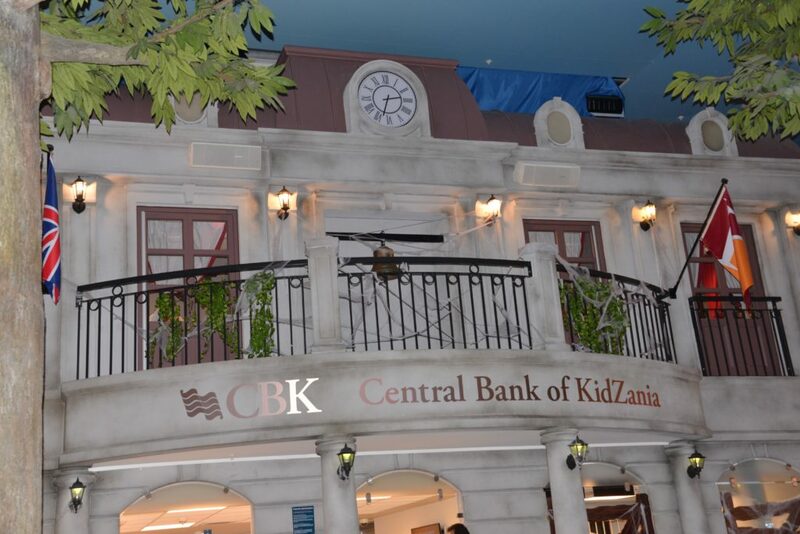 We parked easily and found KidZania located near Marks and Spencer. The impressive entrance looks like an airport, my children were beyond excited checking in. The check in process was fast and simple, with no wait time. We were all given wristbands, which meant the children couldn’t leave the city without us and allowed us to find their last location if necessary. There is a lovely coffee shop where adults can work or relax for a few hours. Children over 8 can be left in the city while you shop which would be a real treat as Westfield has some amazing shops! 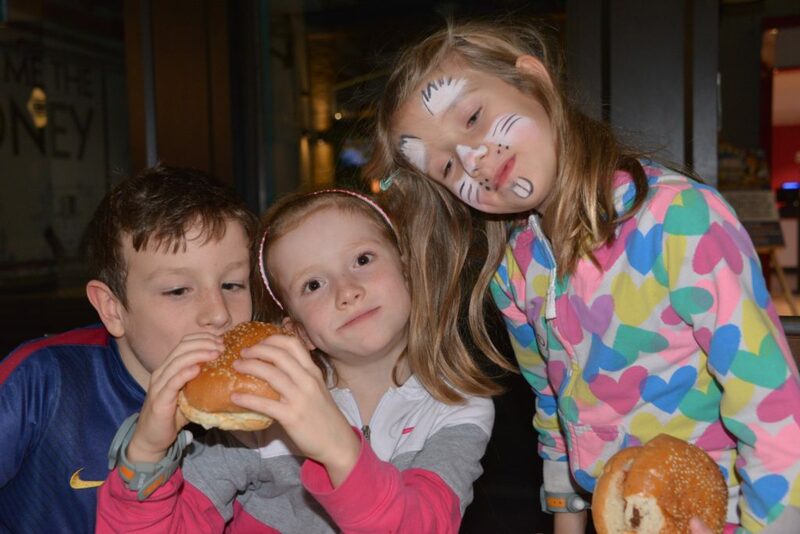 Children start with 50 KidZos which they can use to pay for experiences such as the climbing wall, Gourmet Burger Kitchen and face painting. There is usually a bit of a wait for the climbing wall, so we’d recommend going here first if you have an early slot, or keeping an eye our for a quiet moment. Children need to be wearing trousers or leggings and trainers for this experience too. 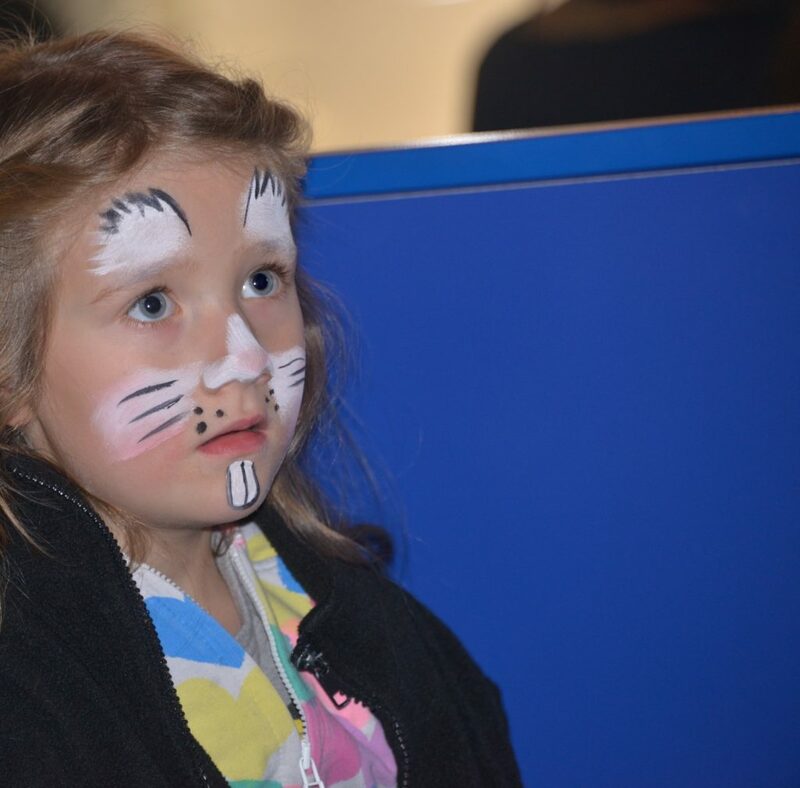 Hannah waited for about 10 minutes to get her face painted, but she didn’t mind as we hadn’t waited for anything else and she REALLY wanted to be a rabbit. 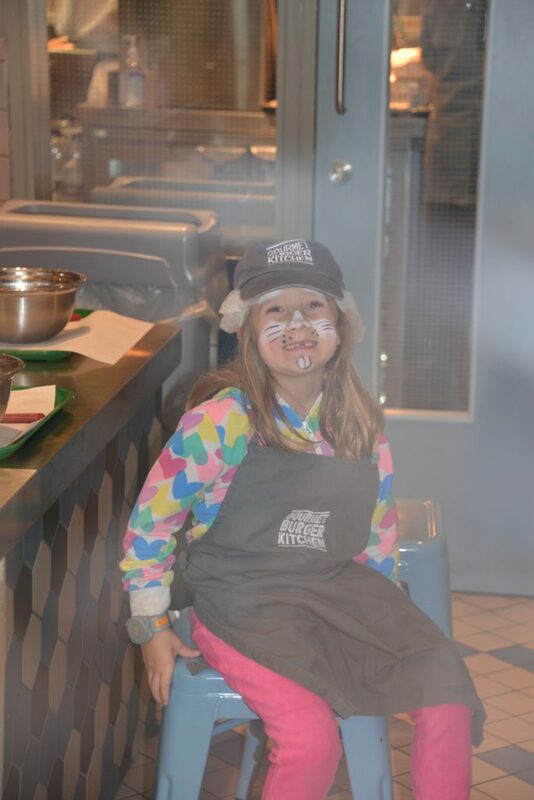 This experience allows children to create their own burger toppings for a burger they get to take away. All three of my children LOVED this experience which was well worth the KidZo expenditure. Children can earn more KidZos by completing experiences which offer a salary. 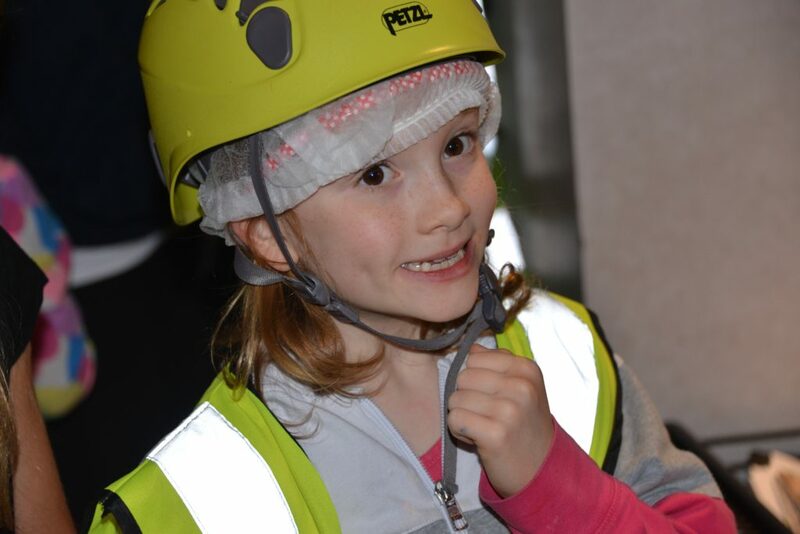 One not to miss is definitely either the Paramedic, Fire Fighter or Police ( or all three if you have time ) as children not only get to train, but also get to go to an emergency scene and try out their new skills. 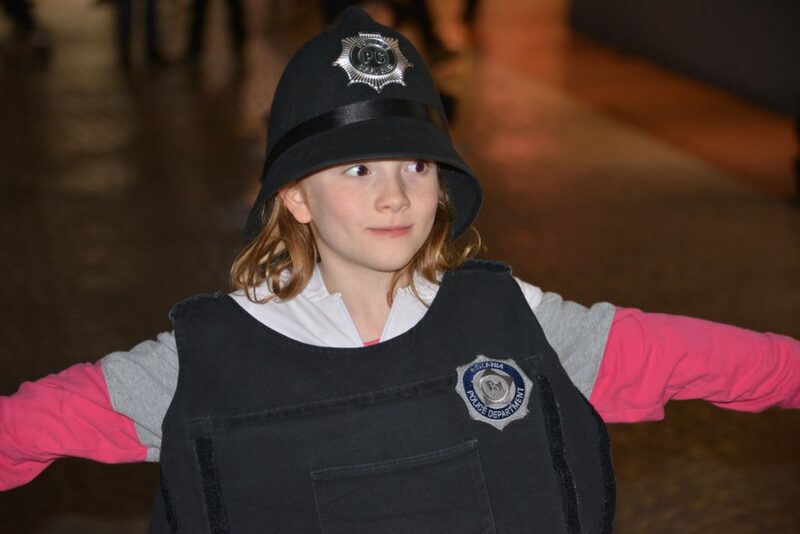 We had a brilliant afternoon at KidZania, and would most defintiely recommend it. We’ve visited twice now and still haven’t tried everything. The city is very well managed, we’ve never waited very long for any experience apart from climbing and have easily stayed for the full 4 allocated hours. If children have spare KidZos at the end of their visit they can save them for next time or if they have 75 KidZos can open a bank account and get a bank card! See the KidZania website for more information. 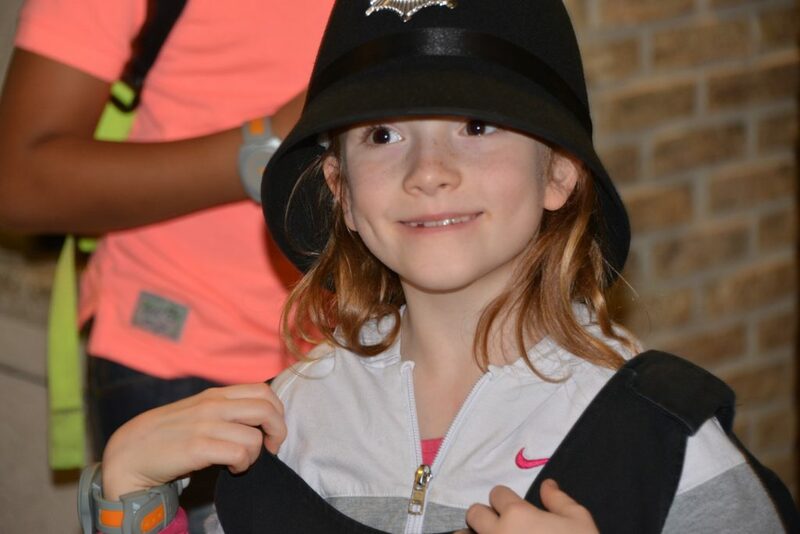 Thanks to KidZania London for a brilliant day out. We recently bought National Trust membership for the year so I’ve been busy making a list of where we can go to make the most of it. 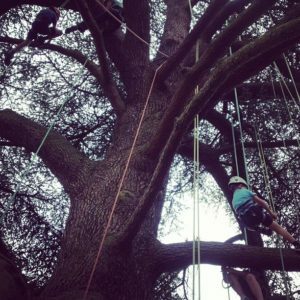 We’ve been tree climbing with The Big Tree Company before and it was just fab, so this event at The Vyne in Basingstoke is a definite possibility as is making a trail with sticks on August 27th. The Vyne also has a great Hobbit themed play area, complete with slides, tunnels and water pump, my children LOVE it there. 50 things Tuesdays sounds great as does building a water-way on Thursdays. There’s even outdoor theatre on Saturday 6th August. 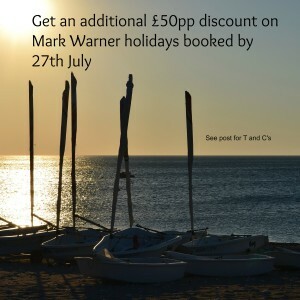 Winkworth Aboretum has a summer trail from August 1-20th which I really want to try as well. 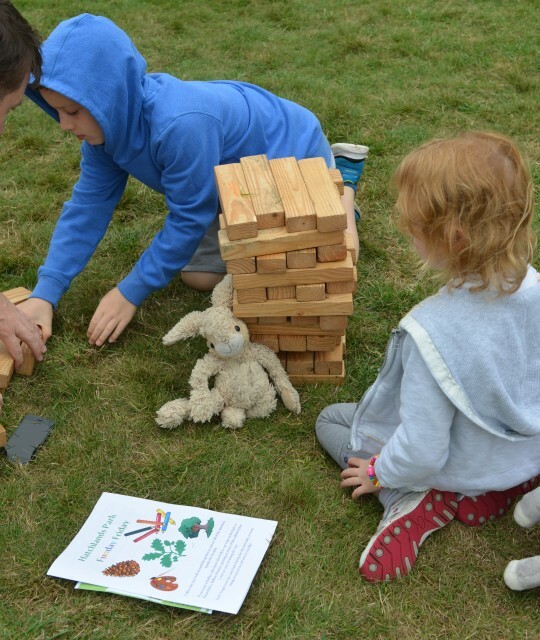 We had a great day last year at one of the Friday Fun Days at Hatchlands Park and definitely want to go back this year for more arts, crafts and giant garden games. Hatchlands Park also has some lovely walks and a brilliant play area. I’ve wanted to try the Ball Run for years now, so am determined to actually make it this year. Another of my favourite National Trust sites is Cliveden. 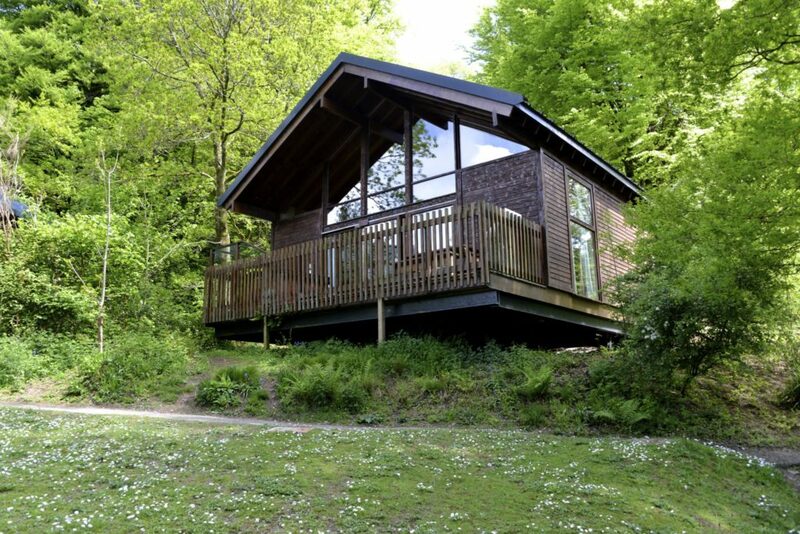 Theres miles and miles of beautiful woodland, a fantastic storybook themed play area and even a maze. I think that’s a whole summer of fun for FREE, well if you forget the cost of the annual pass, which was a bargain considering how many days out we will get from it. 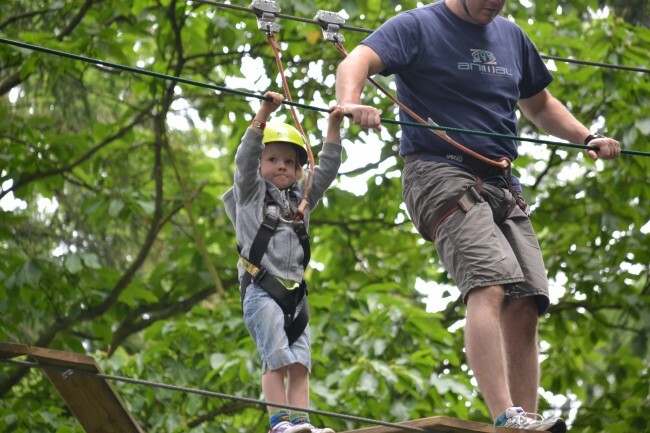 We love Forestry Commission sites as they are such an inexpensive and easy day out, so when we found ourselves passing by Thetford Forest Park I knew we had to visit, especially as my 5 year old was desperate to try GoApe. She was so brave and really tried, but only managed half the course as her little legs weren’t quite long enough. 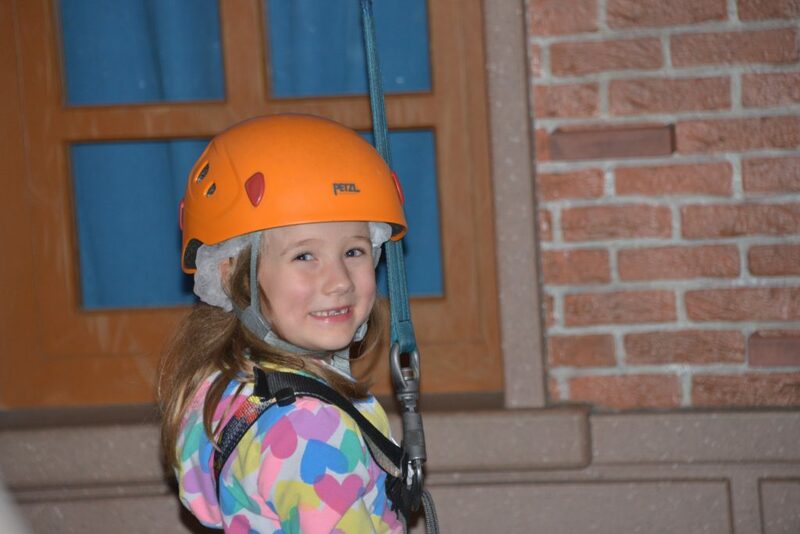 My 6 year old however sped round and absolutely LOVED it, especially the zip wire at the end. 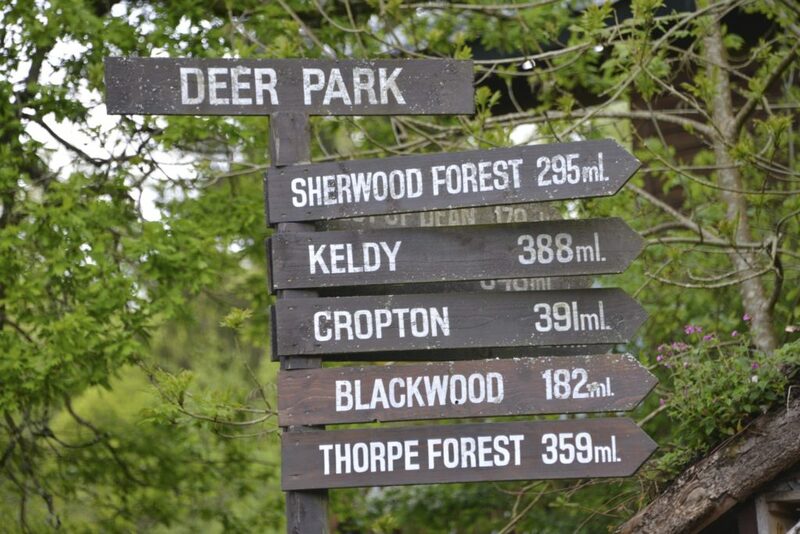 Thetford Forest Park also has great bike trails, walking trails and amazing play equipment for kids of all ages, as well as a lovely cafe for when you need a break. For us the best thing about Forestry Commission sites are that it’s such a fun, easy way to get the kids active and outdoors. 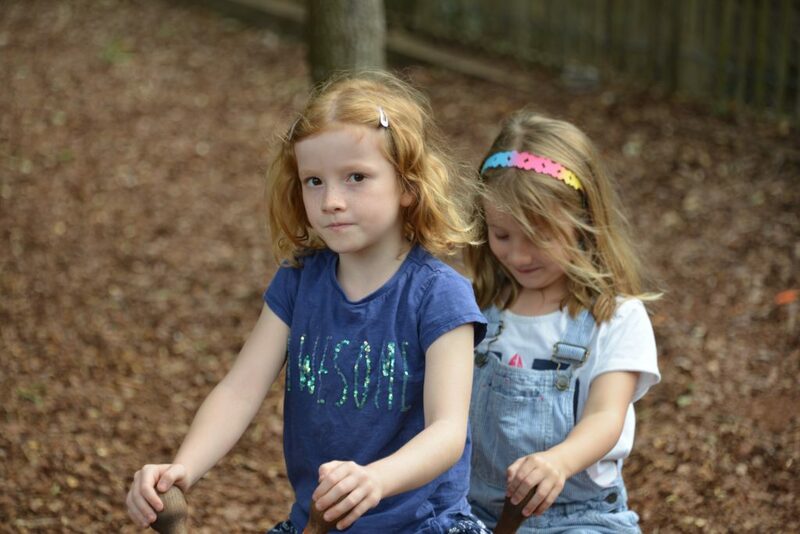 The climbing frames and play equipment are usually positioned along a walk so the children get a lot of exercise without really realising, and its always such an easy, stress free day for the grown ups too. I found this video that the kids made last year before our trip to Levante Beach Resort and just had to share. A headphone splitter if you have more than one child. What are your must take travel item for kids?? 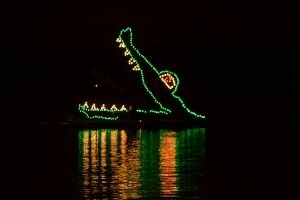 I vividly remember going to Wilderness Lodge to watch the Electrical Water Pageant when I was just 13 years old. 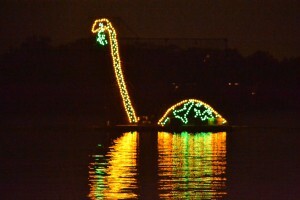 It was just as magical then as it was 20 years later when I returned with my own children. There was something so familiar about the music and it became something we very much looked forward to hearing and watching each evening from our hotel room. The parade is visible from the four hotels on the Seven Seas Lagoon; The Contemporary, The Polynesian, Wilderness Lodge and The Grand Floridian. 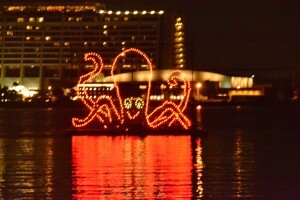 Check out the Disney website for the best times and places to watch the Electrical Water Parade, but we thoroughly enjoyed watching from the beach area in The Grand Floridian and next to Narcoosses. If you’re not staying in a Disney World Resort Hotel you can also watch from outside Magic Kingdom during extended hours. 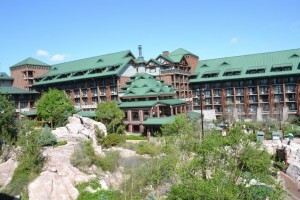 Wilderness Lodge is positioned perfectly within Walt Disney World Florida for young families, the boat ride to Magic Kingdom is just 7 minutes and takes you right to the entrance and the bus transportation to other parks in exceptionally good as well. Wilderness Lodge itself is just beautiful, the entrance way is magnificent and really captures the wild beauty of the Northwest, with huge wooden beams and rocking chairs. The rooms are average size and fit the theme of the hotel, as well as being exceptionally clean as you’d expect from Disney. There’s a fantastic pool with a slide as well as a quiet pool if you need a bit of peace for a while. the hotel sits on the shore of the Seven Seas Lagoon and there is a lovely beach area with playground. 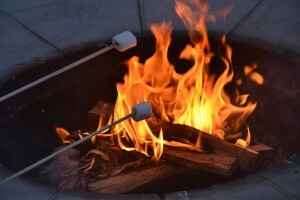 Each evening there is a movie under the stars as well as a campfire with marshmallows to toast. Character meals are a great way to spend time with Disney characters without the ( often quite large ) queues. These are the two we tried on our first trip to Disney World. We had a brilliant breakfast with Jake, Juno, Handy Manny and Oso from Disney Jr at Hollywood and Vine in Hollywood Studios.The breakfast buffet had an impressive array of foods, everything from mickey waffles and pancakes to build your own omelettes and burritos. It was well worth the money for the food alone, so having characters around was an added bonus. The kids were loved getting up and dancing during the meal too, it was such a friendly atmosphere, this is definitely one we’d do again. We loved the food at The Crystal Palace so much we booked for dinner the day after having lunch there. Crystal Palace in Magic Kingdom is a stunning venue, it reminded me of an old fashioned British hotel and the food was fantastic with lots of healthy options as well as the usual Disney treats. We had an amazing breakfast here on our last day with Safari Donald Duck and Friends. The food is African themed and was a lovely change from the usual ( but also delicious ) breakfast menus. The children stuck with the tried, tested and much loved Mickey Waffles, while I filled myself up on spicy corn beef hash with cornbread, spit roasted ham, banana bread and sweet plantains. Everything tasted fresh and was replenished very quickly. The staff were very friendly, helpful and our whole dining experience was very slick. I would absolutely recommend Tusker House Restaurant. Combined with The Lion King Show, we had a very special last morning at Disney. When the heat gets a bit much or if an older sibling or parent wants to go on a big ride, find a playground to chill out in. We spent a lovely hour in the Honey I Shrunk the Kids Playground in Hollywood Studios and The Boneyard in Animal Kingdom. Epcot also has little playgrounds and splash areas dotted around. The parades are a great way to take a break from the rides, just make sure you find out the best spots to sit beforehand and get settled in good time ( with drinks and snacks ), as the parade routes do get busy. Disney shows are always amazing and often a brilliant way to get away from the hot sun for a while. Finding Nemo in Animal Kingdom was breathtaking and had all three children entranced for the whole show. The Lion King also in Animal Kingdom was stunning as well. My little boy still talks about the fire twirling. Monsters Inc, in Tomorrow land at Magic Kingdom was hilarious and very clever as it was personalised to the audience, we giggled all the way through. When the heat gets too much find a splash area to cool off in. Our favourite was Casey Jr. Splash ‘N’ Soak in Magic Kingdom, which was huge and handily located near the train station in Storybook Circus. Fantasy land is full of lovely family friendly rides. 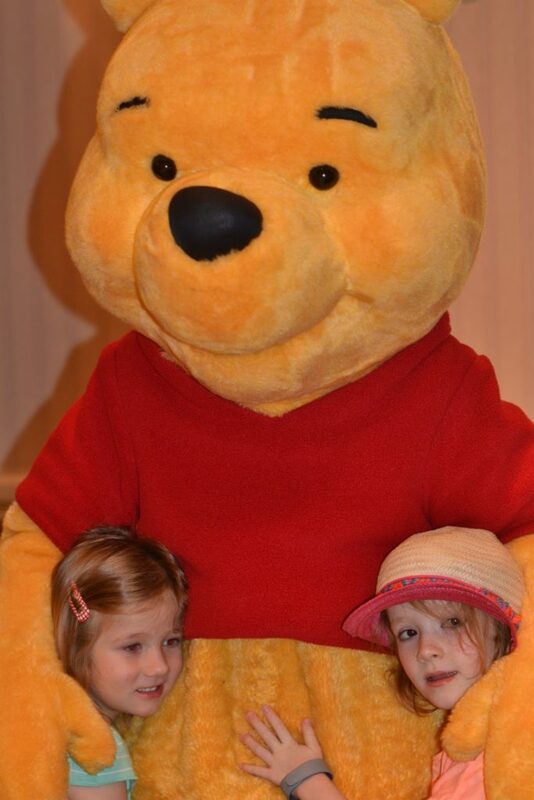 Our favourites were The Many Adventures of Winnie the Pooh, Peter Pan’s flight and The Journey of the Little Mermaid. There are also some meet the character areas, so keep an eye out for these, or pre book your character meets using Fast Pass +. Tinkerbell’s Nook looked beautiful and the perfect place for meeting fairies, unfortunately the week we were there it was very busy, but I wish now we’d waited and not missed such great photo opportunity. Storybook Circus has a big circus tent where you could meet some of the main characters. Ariels Grotto – located next to the Under the Sea ride. Merida has a special area by the castle. You can meet Animal Kingdom themed Mickey and Minnie in Camp Mickey and Minnie. If you stay in a Disney World hotel, I would definitely recommend the meal plan. We chose the middle level, which gave us one quick service meal, a snack and a table service meal. It was more than enough for us, and we actually ended up with snacks left over. Most of the character meals counted as just one table service meal, which made them great value for money. 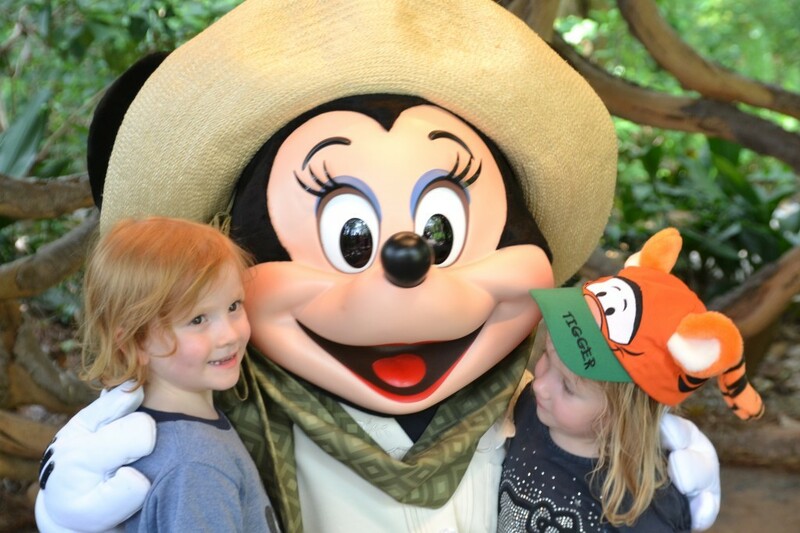 Do you have any more tips for Disney World with Toddlers?